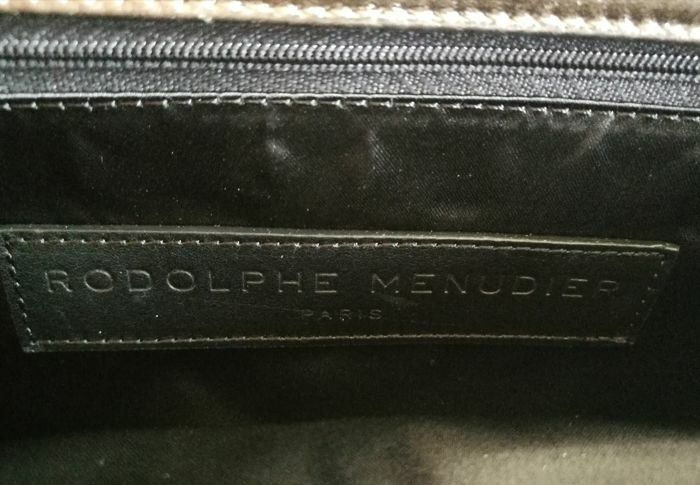 This lot consists of a bag with strap in a shimmering bronze colour, new, original Rodolphe Menudier. 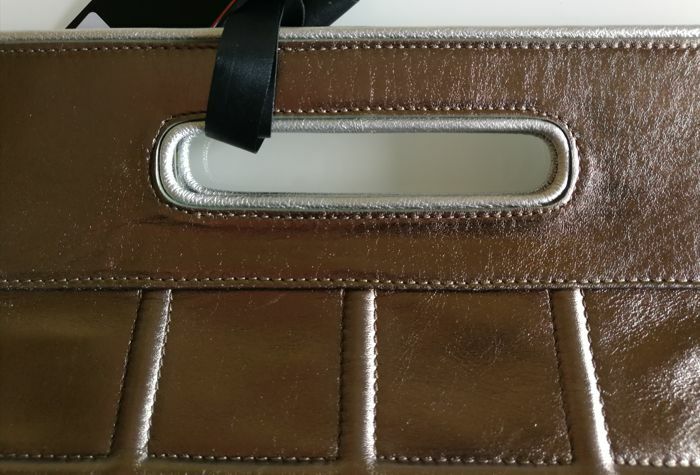 This very elegant bag has a double-clip closure on the top. 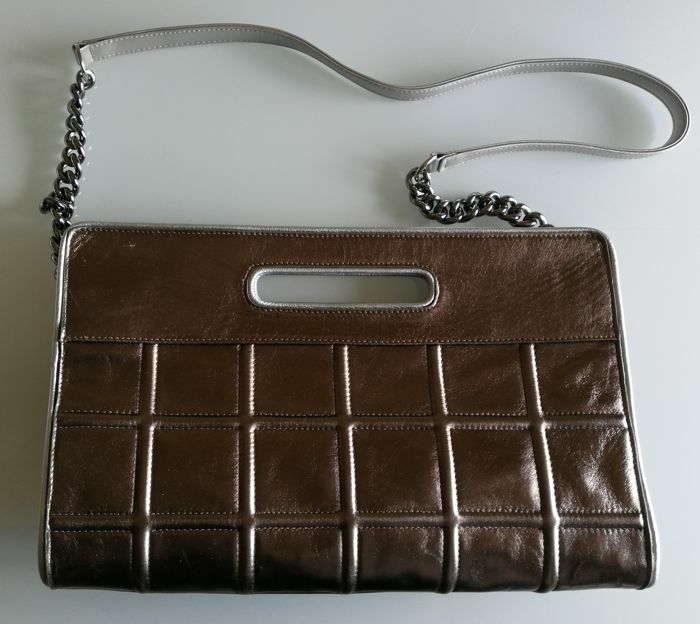 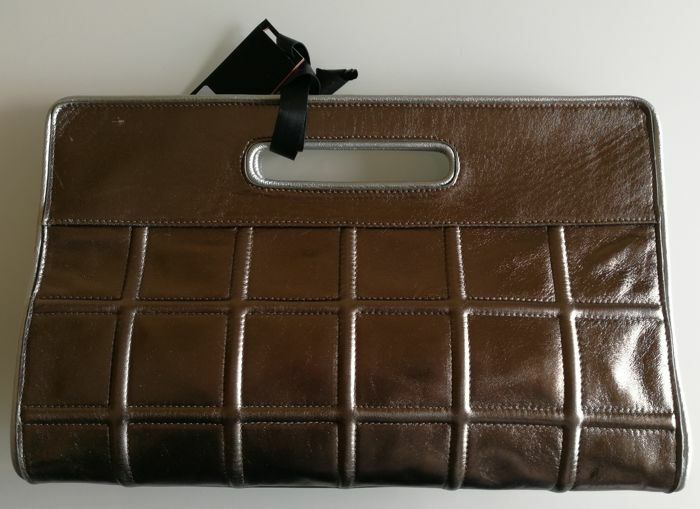 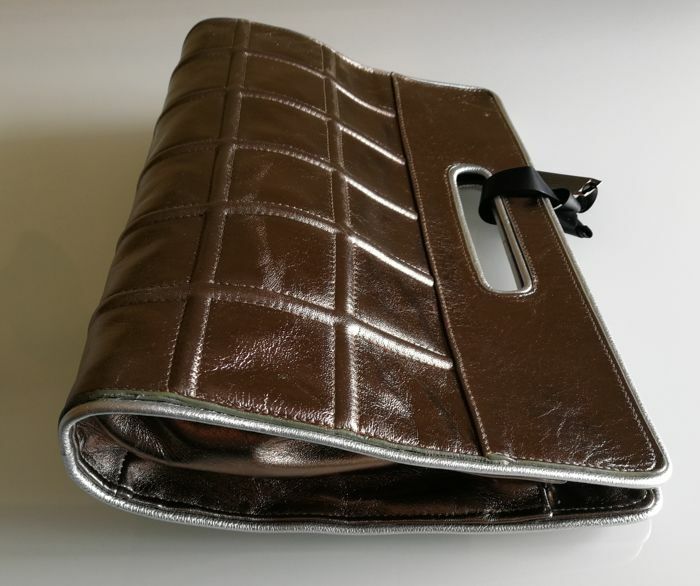 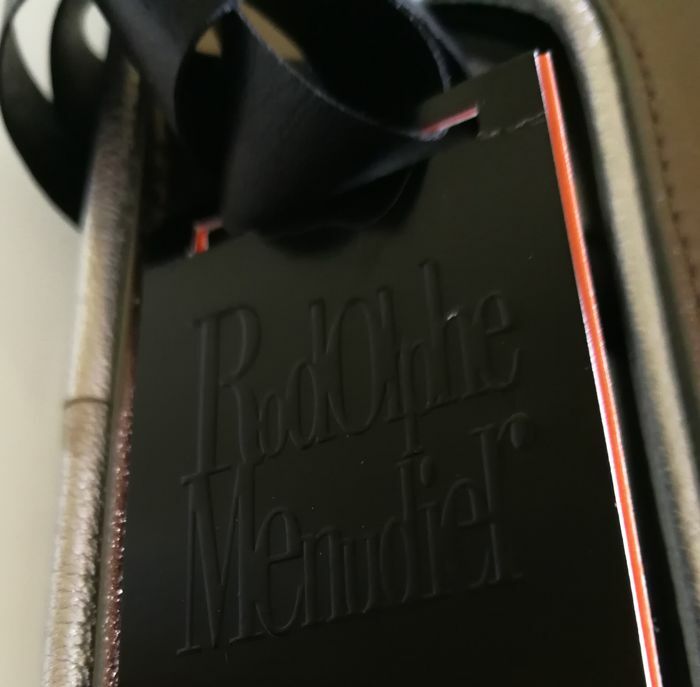 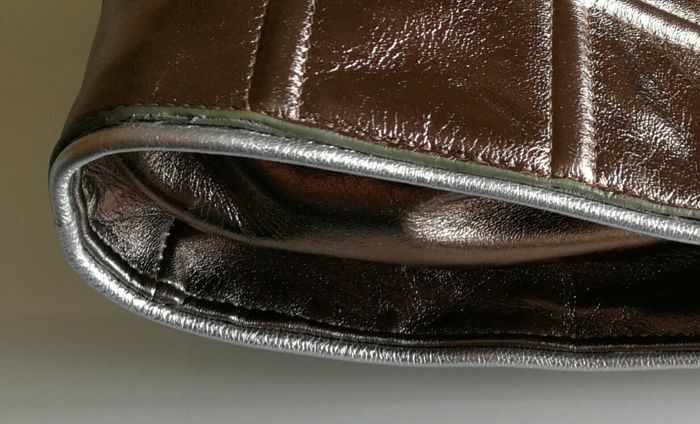 The unique, shimmering bronze colour makes this bag go well with anything, both casual or formal event, signed Rodolphe Menudier. 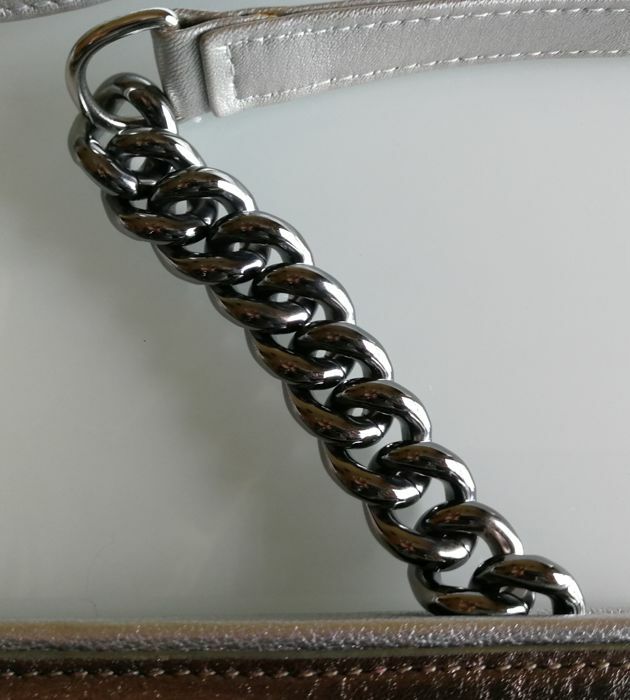 The finishes are silver-coloured as is the strap band, while the strap chain is in browned metal with a woven pattern.